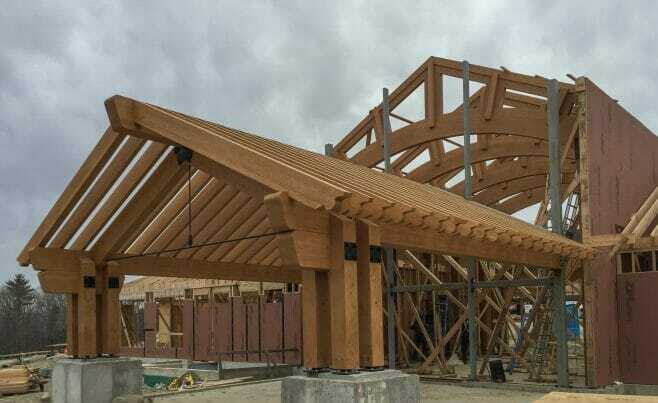 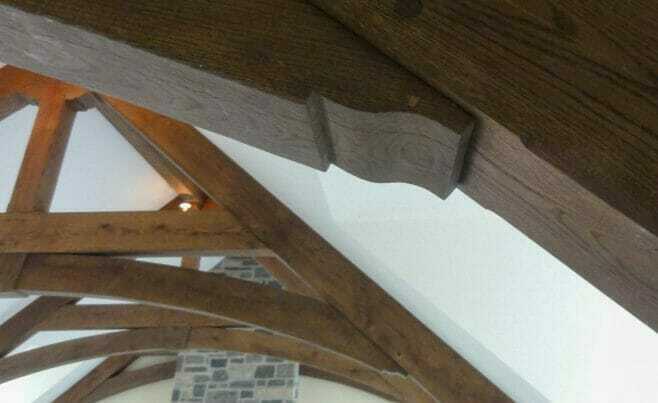 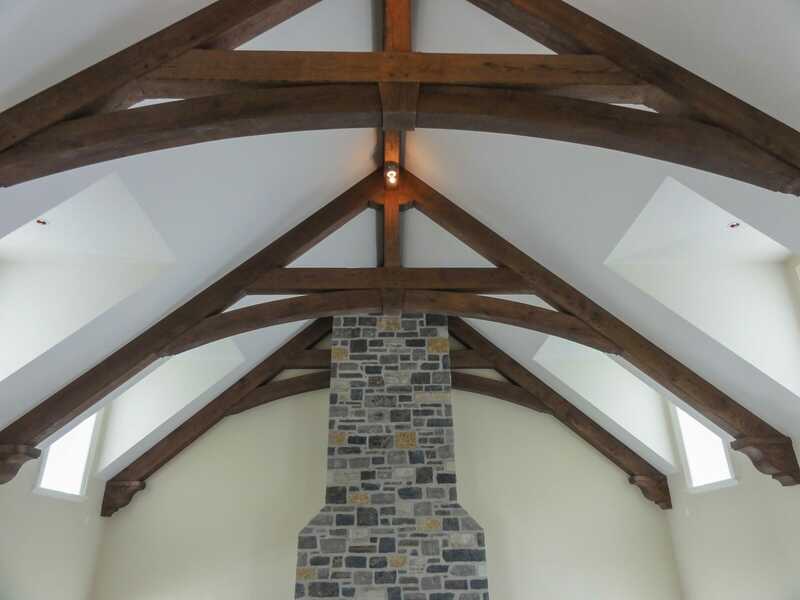 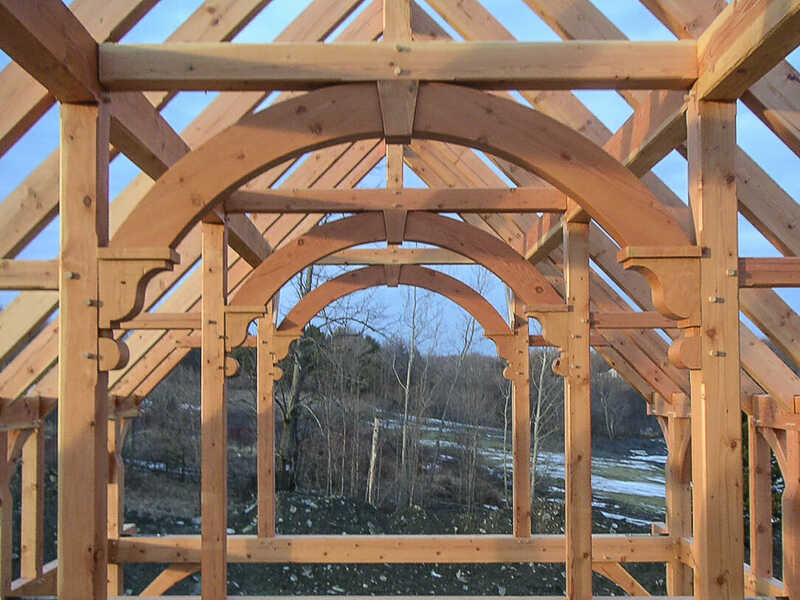 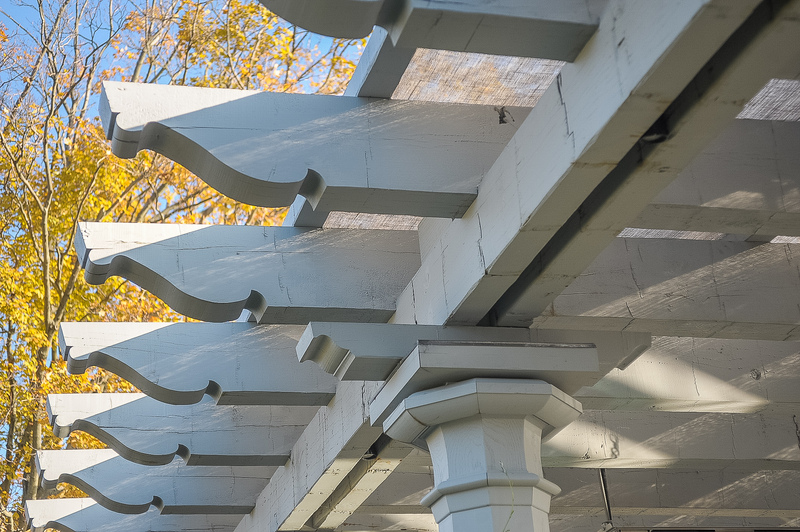 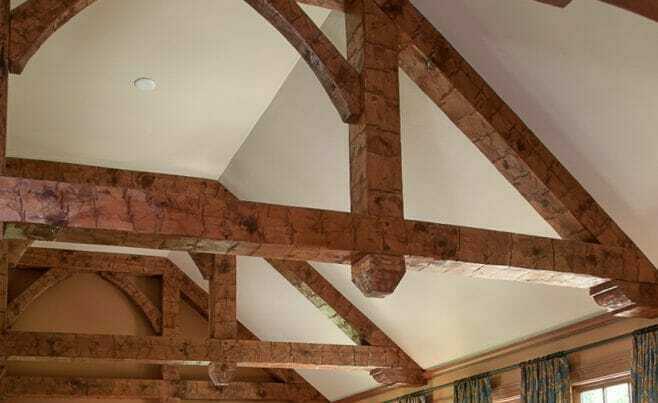 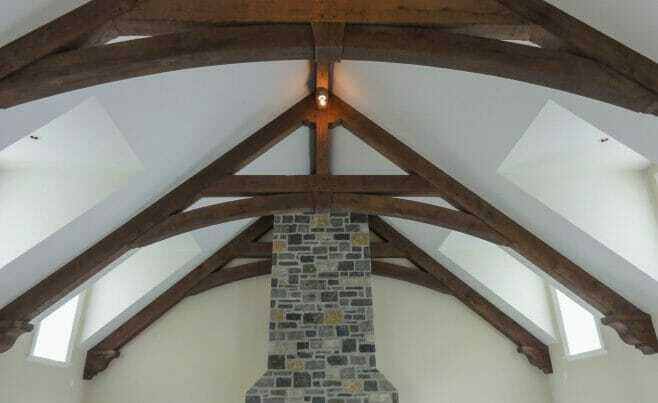 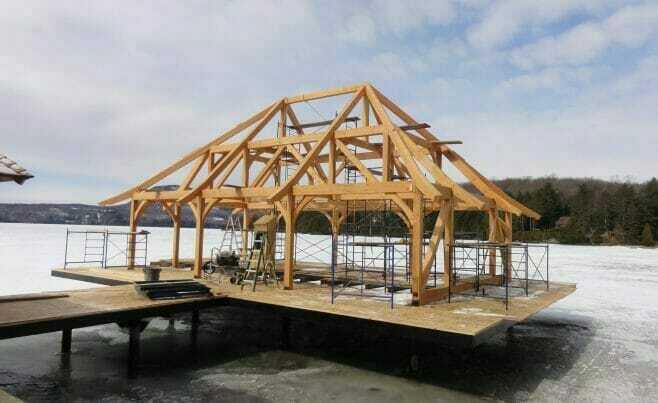 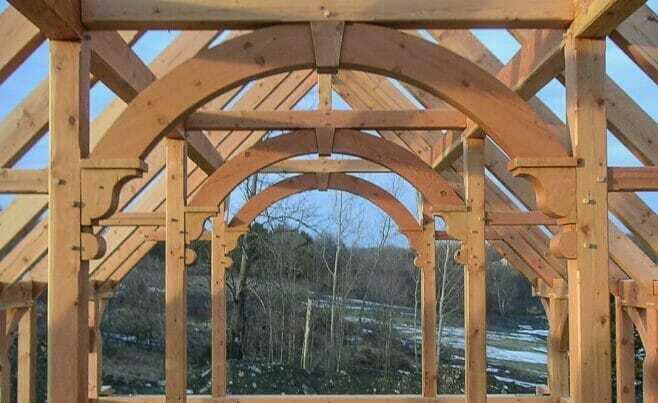 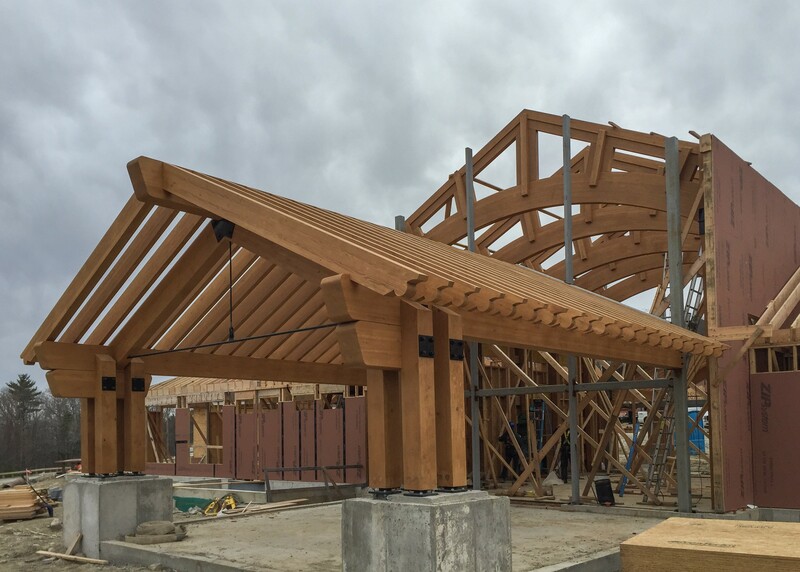 Scrolls are the decorative end of a rafter or beam. 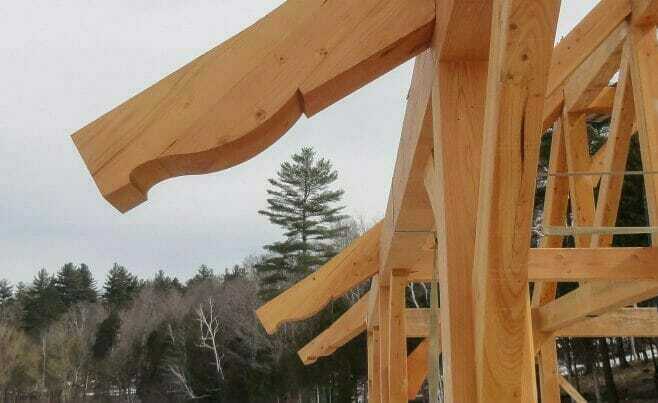 Sometimes you’ll see them on curved braces as well. 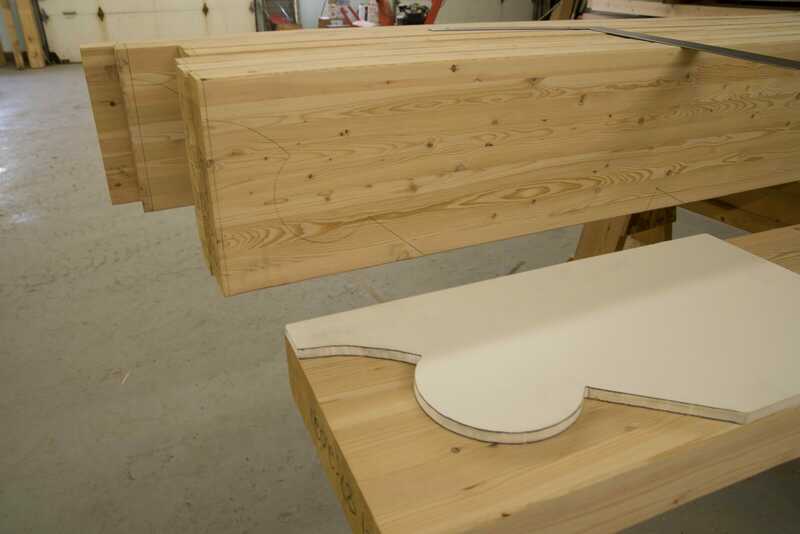 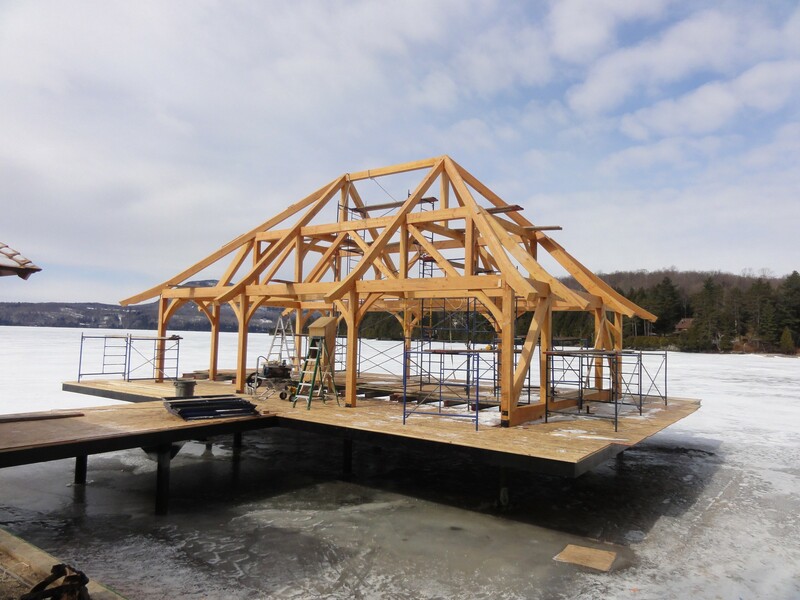 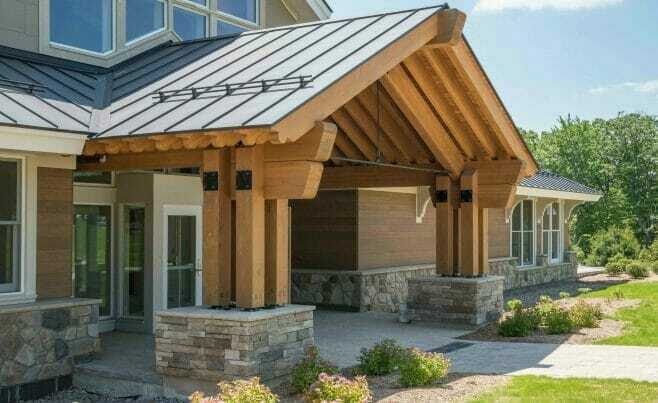 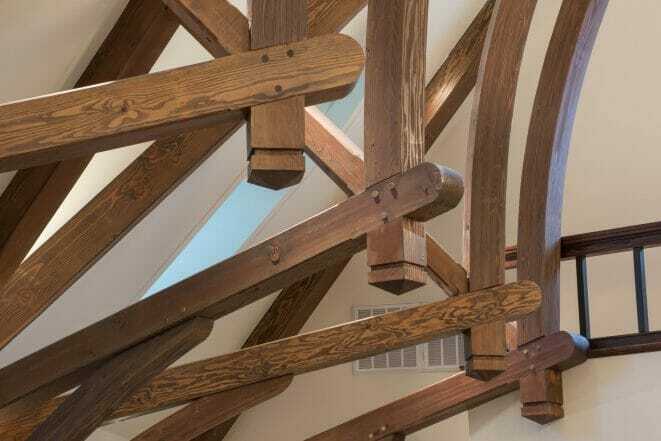 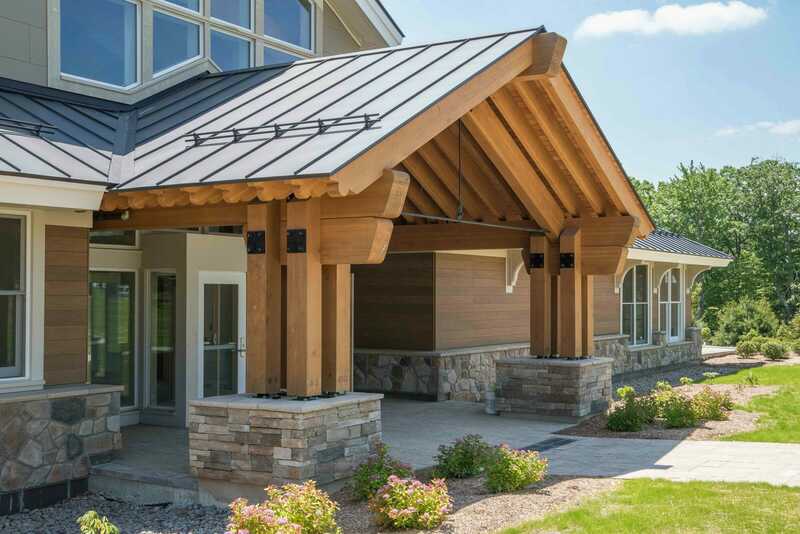 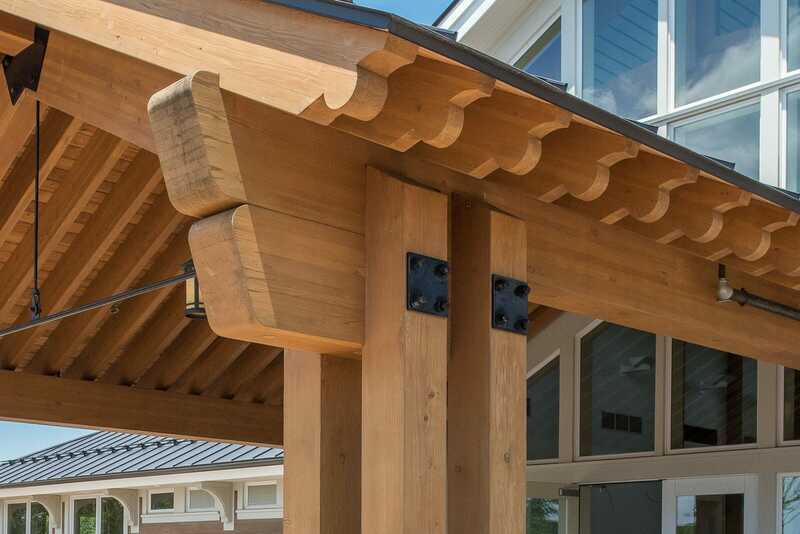 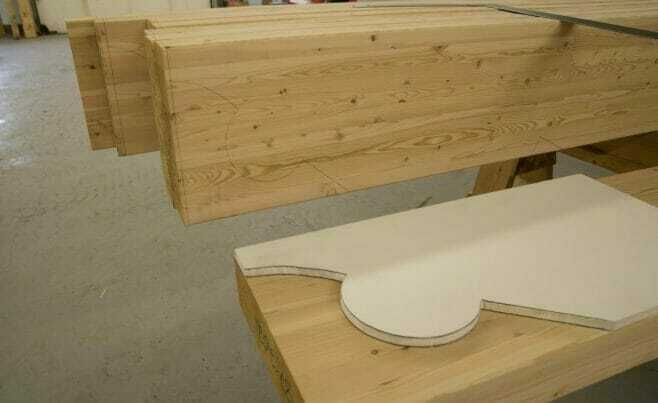 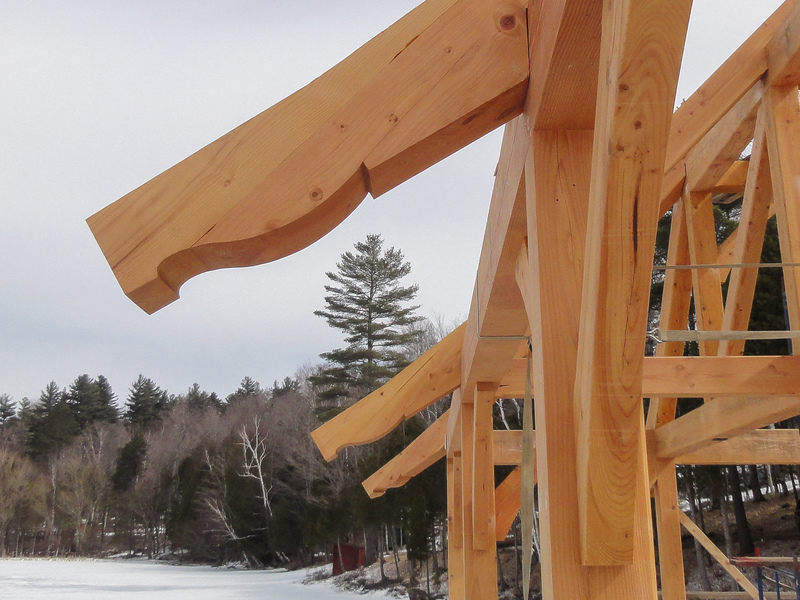 Scrolls are a nice way to add a decorative element to an entryway or an overhang as seen in examples of Scrolls Vermont Timber Works has fabricated in the past. 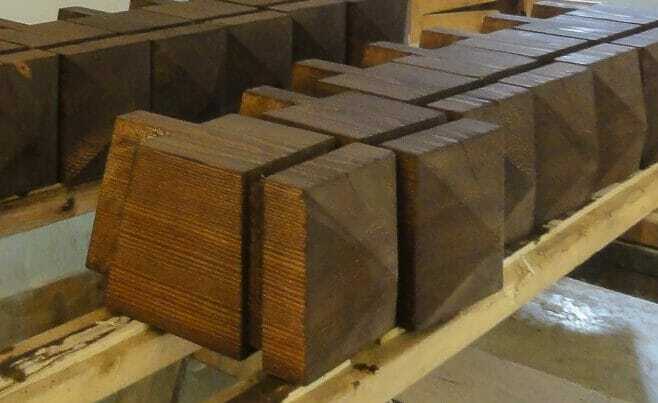 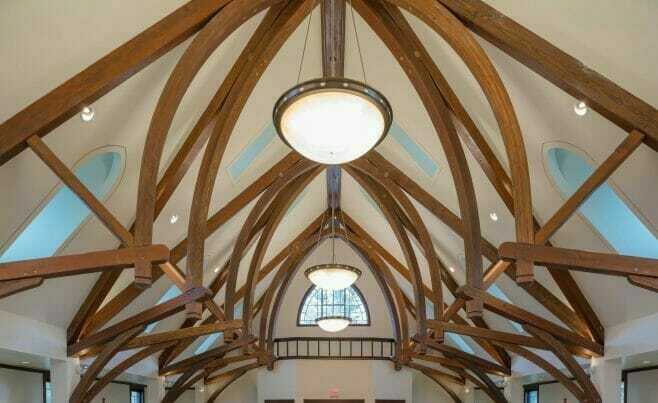 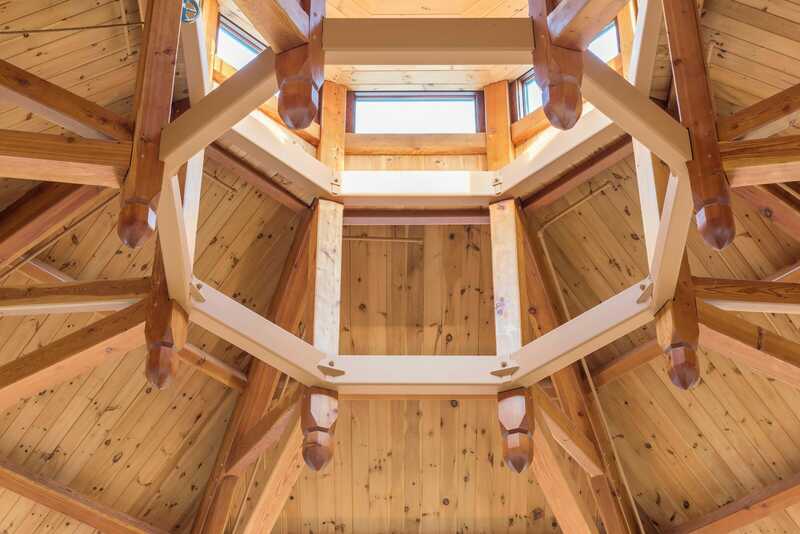 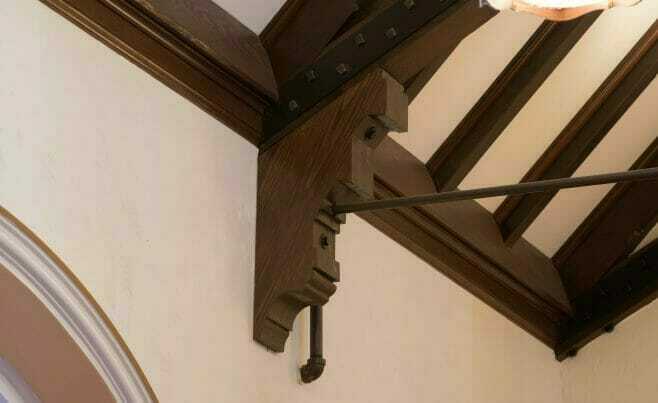 Finials are decorative wood ends that hang down from a Timber Truss. 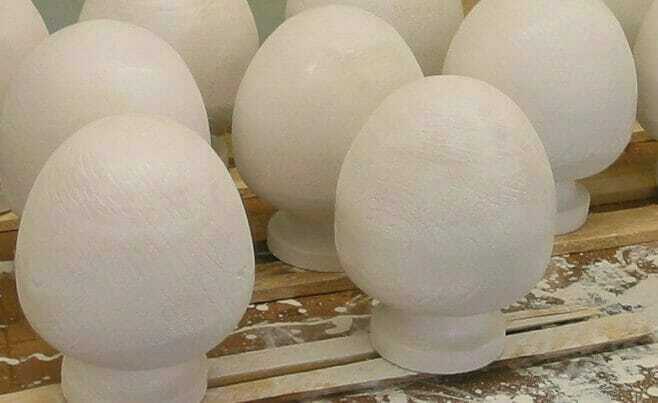 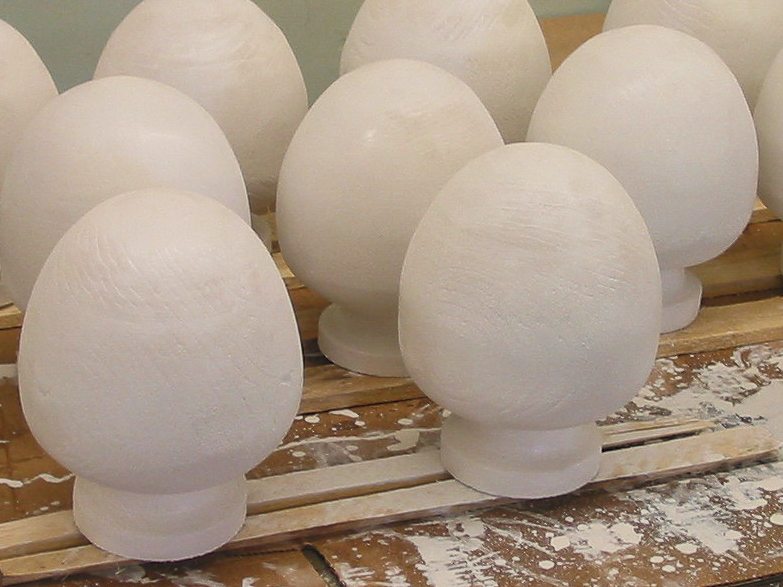 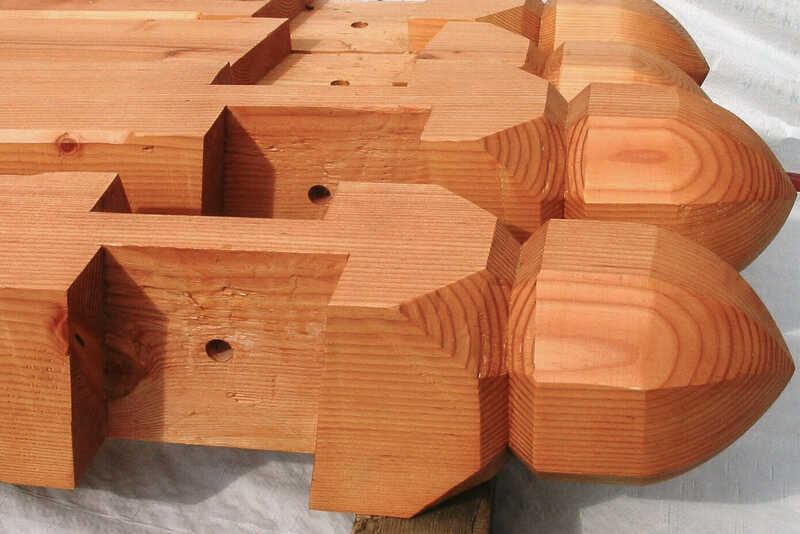 Finials come in a variety of common shapes including round, acorn, and square. 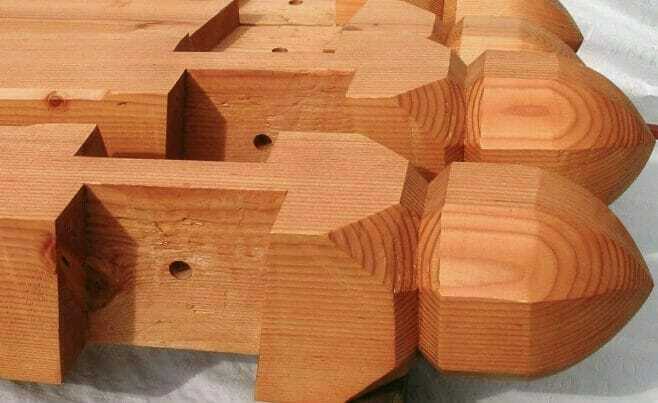 Finials can also be highly customizable. 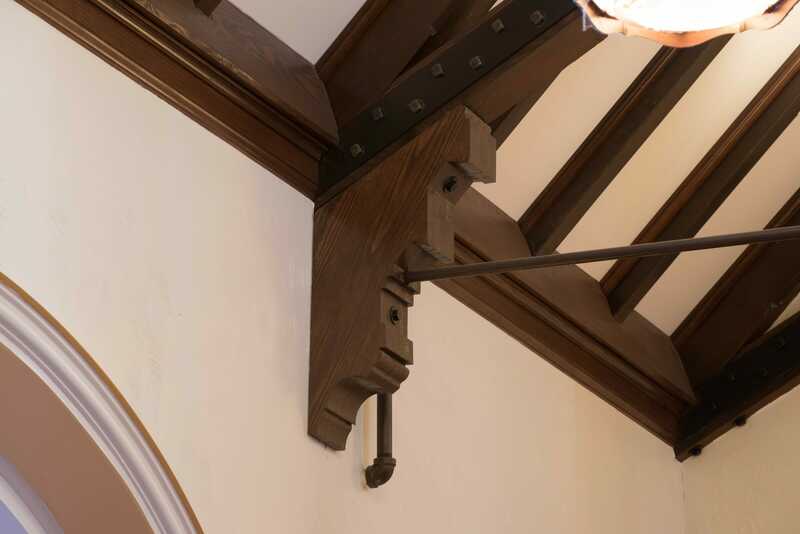 Finials are a decorative element that can be added to Timber Trusses to add another element of style to a space, like a church or a lodge. 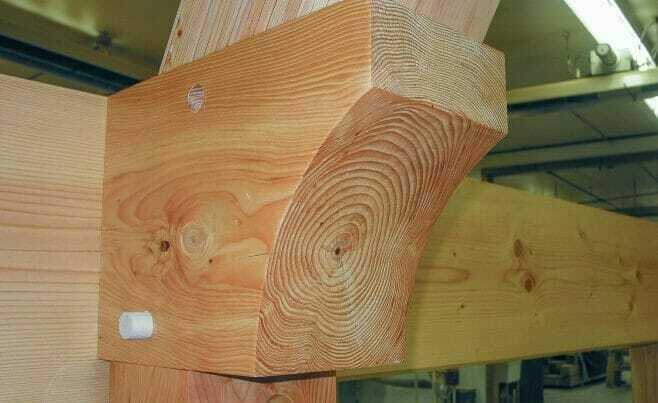 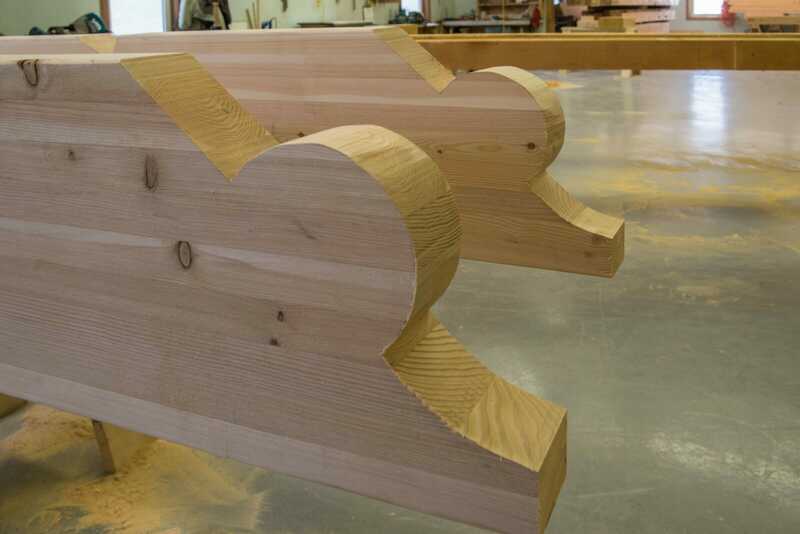 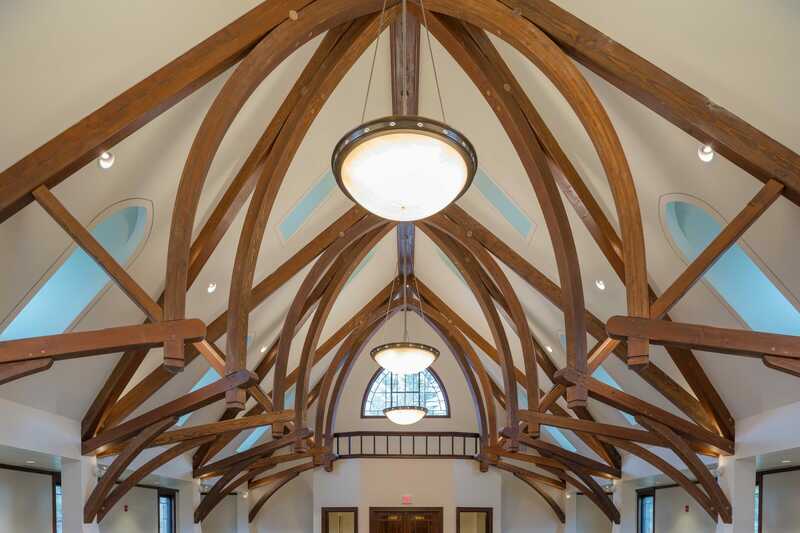 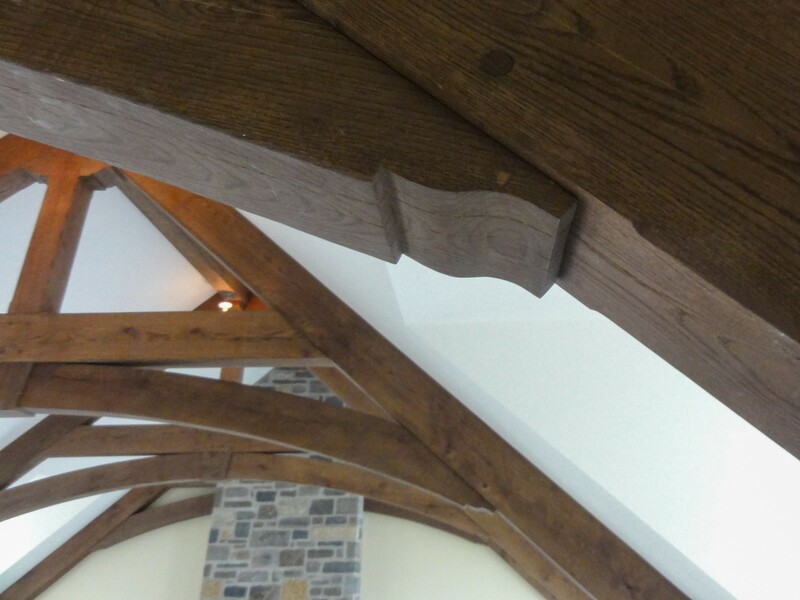 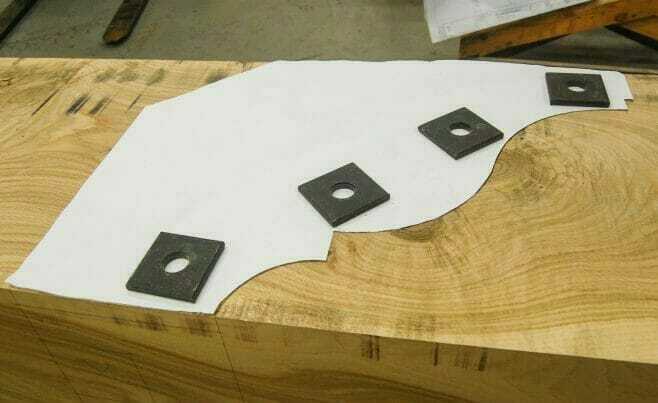 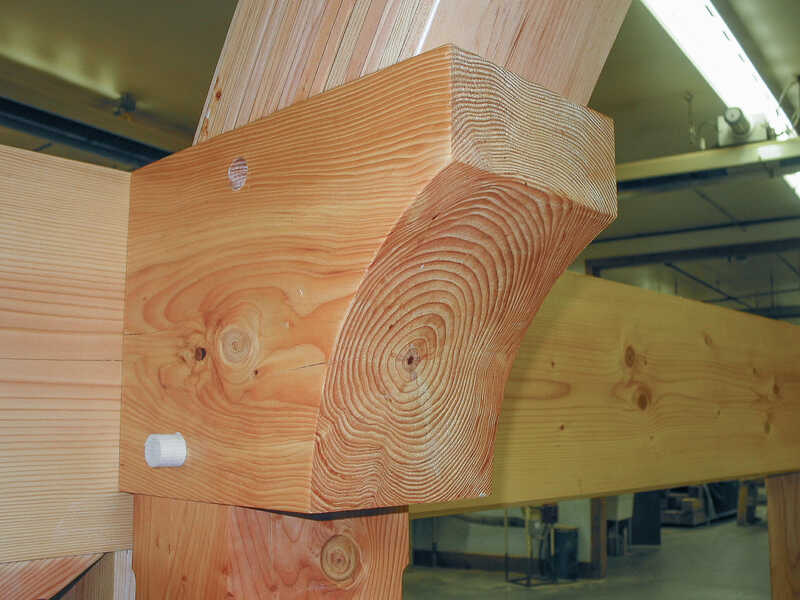 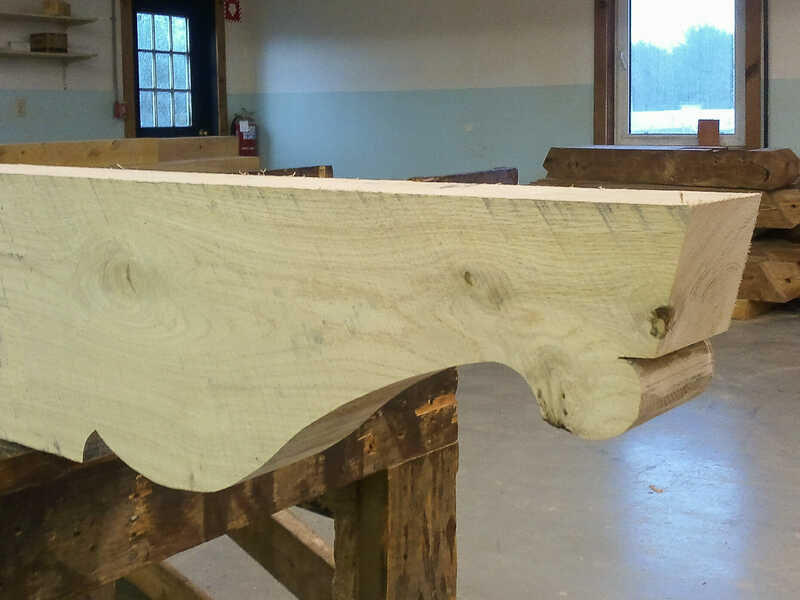 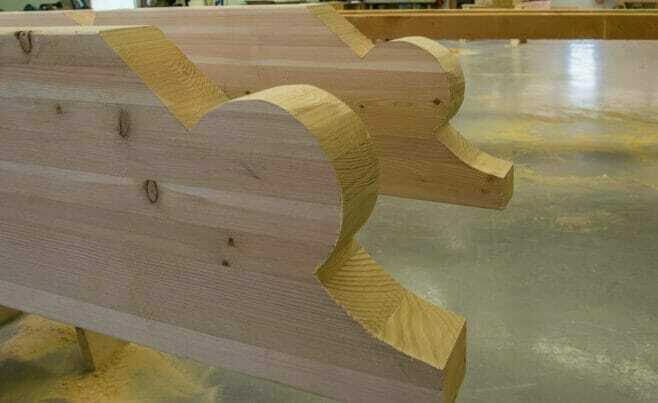 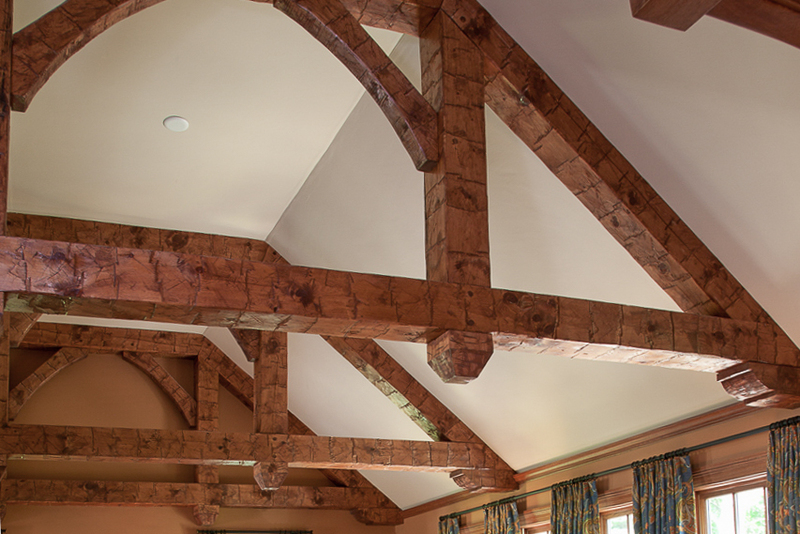 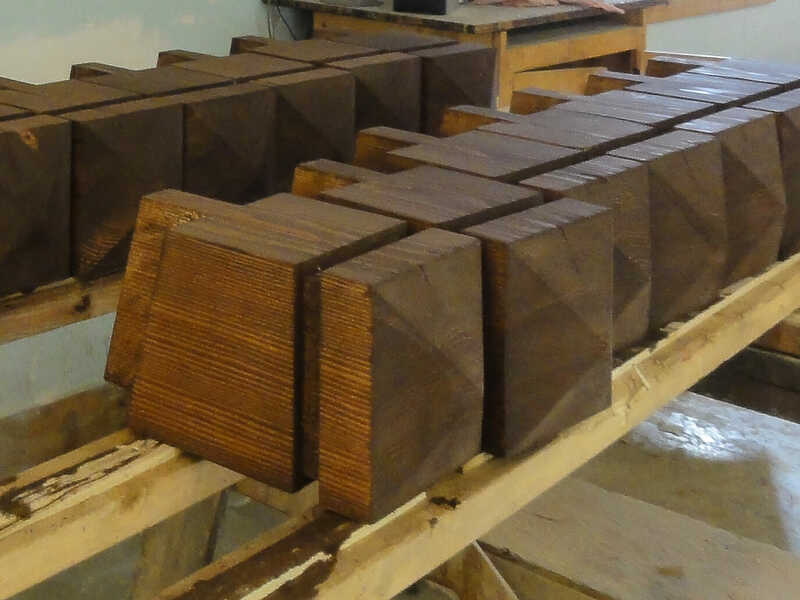 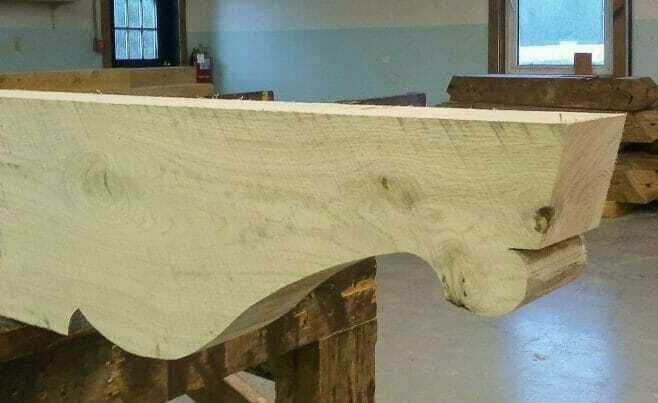 Corbels are decorative pieces of wood that help hold up a Truss. 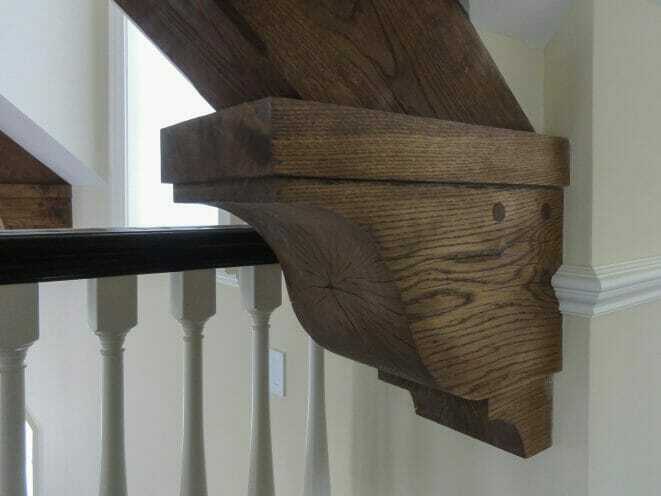 They can often be seen in churches as well as homes and can range from intricate and elaborate carvings to simpler designs.